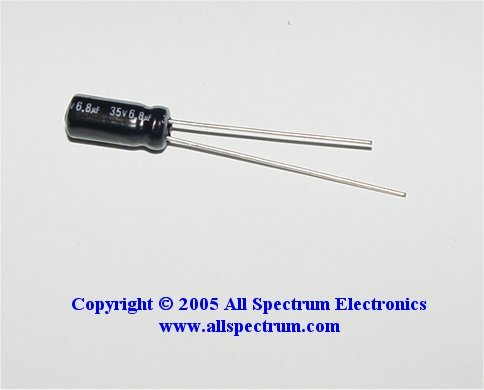 6.8uf, 35v, Aluminum Electrolytic Capacitor. 0.45" long x 0.2" diameter, lead spacing approx. 2.1mm. This product was added to our catalog on Sunday 18 December, 2005.